Stanley Thomas Johnson Foundation continue to support APOPO in Angola. APOPO is delighted to announce that the Stanley Thomas Johnson Foundation has recently decided to continue its support of APOPO’s mine action program in Angola for a second year. We are thrilled to have their generous support and strong commitment to a world free of landmines. Based in Bern, Switzerland, the Foundation has been an essential partner for our work in Angola since 2017 as a part of its bold mission to protect the lives, safety, dignity, and physical wellbeing of people affected by war and armed conflict. Angola remains one of the most heavily landmined countries in the world following decades of conflict. Despite considerable efforts, landmines continue to maim and kill people on a regular basis and are a major obstacle to the return to normal life for the people of Angola. Thanks to generous support of organizations such as the Stanley Thomas Johnson Foundation, the situation in Angola is steadily improving. 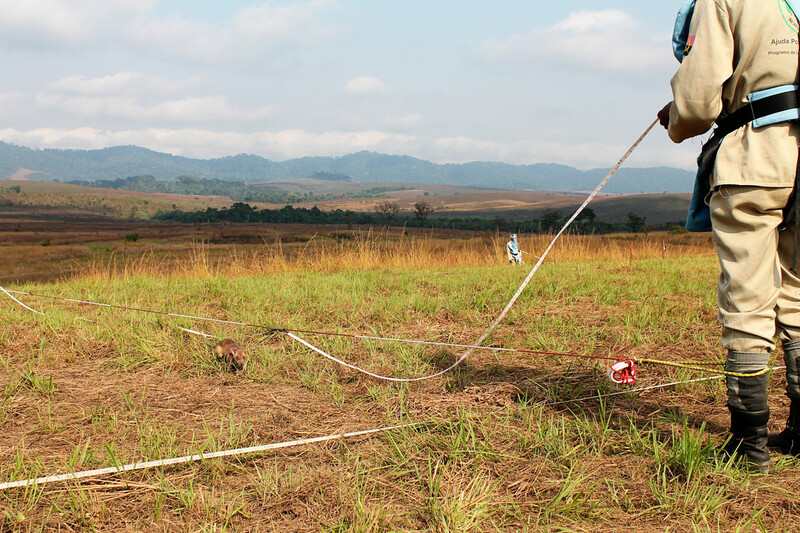 Last year, this partnership has allowed APOPO to clear two minefields located in the Uíge province in northwest Angola. In one of the former minefields, the Uíge government will build a new municipal hospital to benefit 32,764 people or 6,553 families. In the meantime, members of the community have already begun expanding their farms to begin cultivating the formerly hazardous area. Progress continues as the team in Angola has been recently reinforced with the arrival and successful accreditation of 16 new mine detection rats. With the extension of the partnership with the Stanley Thomas Johnson Foundation, APOPO will continue its efforts to return a landmine-free Angola to its people by 2025 in accordance with Article 5 of the Anti-Personnel Mine Ban Convention (APMBC).